We are a leading Manufacturer of pvdf helix packing ring and cpvc helix packing ring from Vadodara, India. Customers can easily avail from us a wide range of products such as this qualitative range of PVDF Helix Packing Ring. Manufactured using latest technology and quality plastic grades the offered range enlarges its surface area and void space which contribute a lot to enhance the product performance. Customers are offered this range at the most comprehensive and market leading price range. CPVC Helix Packing Ring is manufactured in complete tandem with the standards of the industry the offered range of this plastic product of ours has been in wide demand. 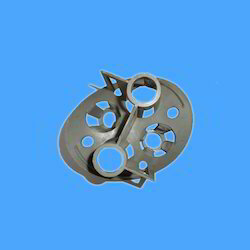 It is used in various applications at major industries. Customers are offered this range at the most comprehensive and market leading price range.